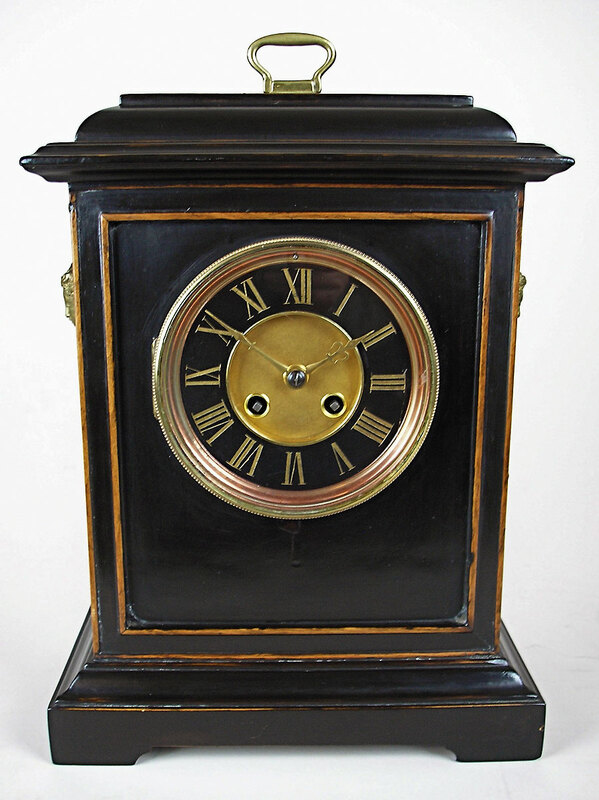 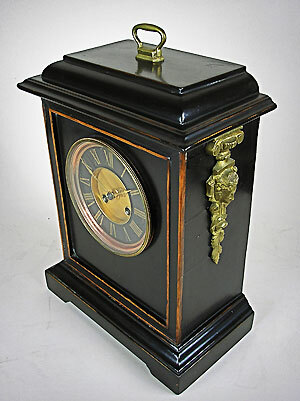 This is a French mantel clock in a ebonised fruitwood case with carrying handle at the top. 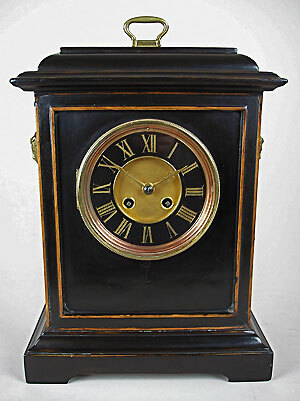 The clock has an eight-day gong-striking movement by Japy Freres. 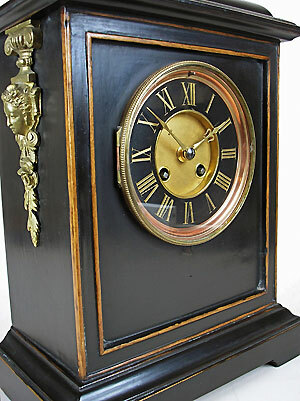 The slate, gold-inlaid dial has fleur de lys hands and the clock has brass ornaments fitted to the sides.